This classic sideboard emphasises simplicity and quality craftsmanship. Designed to be highly functional, the plain doors and frames are hand painted in Silver Birch as standard with a beautiful seasoned oak worktop. 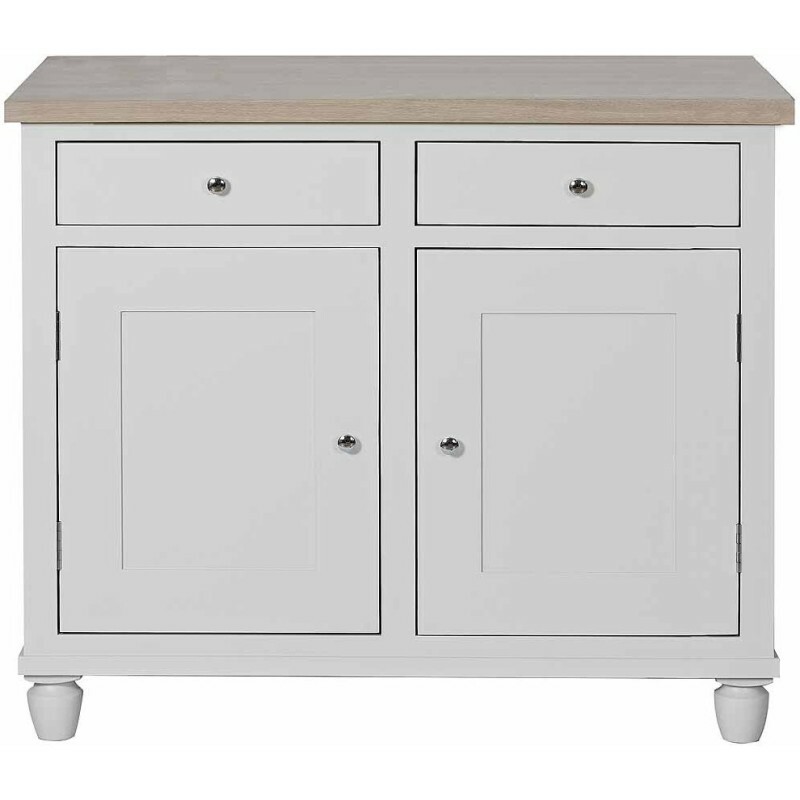 At 4ft wide, the Suffolk sideboard has two deep drawers and a large cupboard space with two adjustable shelves. The elegant ball foot design adds a refined touch to a classic piece of furniture. We offer a hand-painting service with a wide range of additional colours. Ask our staff for details and samples.